I aimed for the Cal-Look. This Cal-Look can be interpreted by different generations . I made in this demo car having the image of driving along the coast and then drag race on weekends. Sunday Heroes way is to keep the car’s characteristics. I covered the holes for fenders, side mirrors, and antenna. The other changes are reopening holes for the wires and attaching a front lip spoiler. 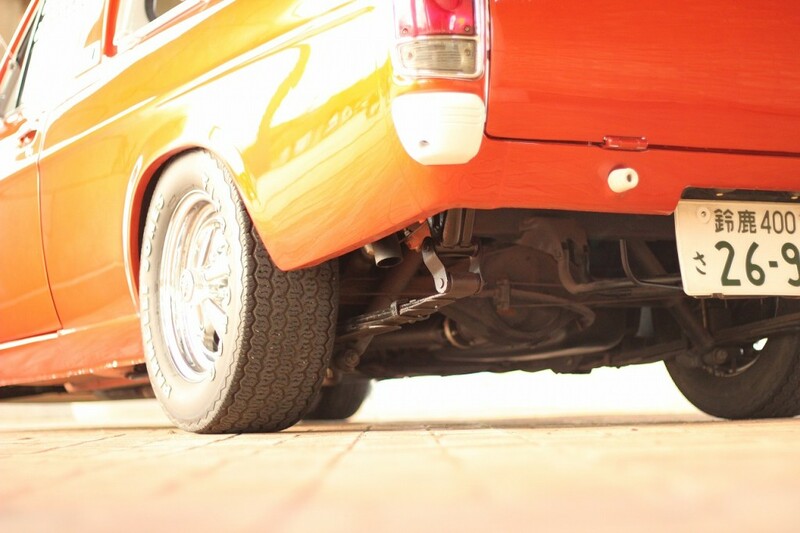 My favorite “Candy orange” is painted by Hokuyo. The front lip spoiler is made by UKA factory. I never saw a front lip spoiler that fits the sunny like this one. The finish looks so natural that you it is hard to tell where is the connecting part. Even you look from the side the connecting part looks natural. When I got these wheels the center cap’s color was fading so I had it painted the same color of body. They say that it is difficult to put a 14 inch to a sunny. 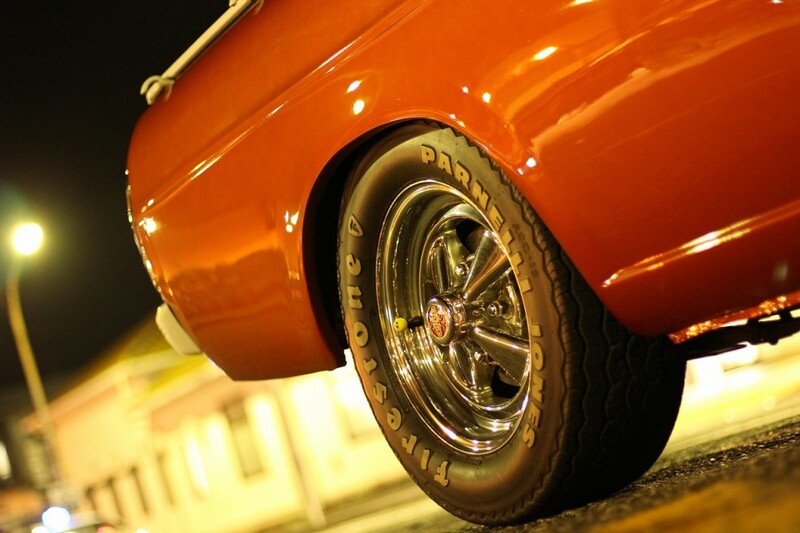 For me to maximize the coolness of the tires I like to use a 13 inch wheel rather than a flat 15 inch wheel. If I lower it more it will more look like a drag car, unfortunately it will hit the wheelhouse. 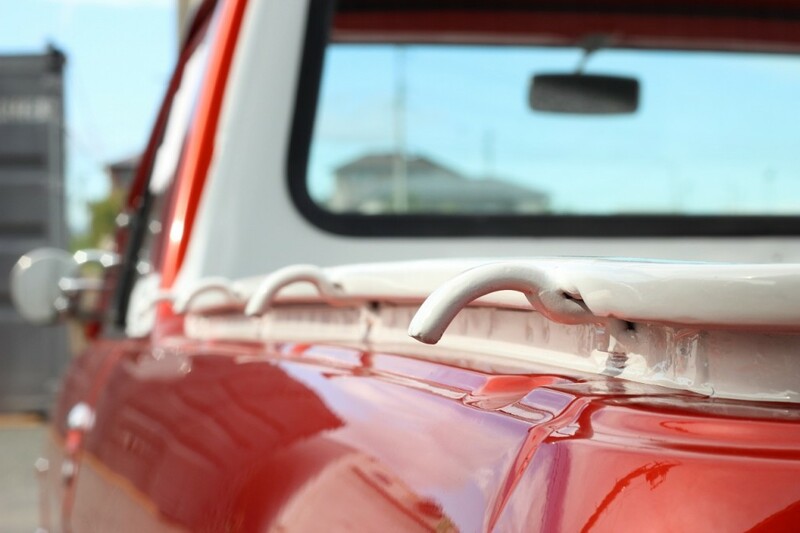 Since it is a truck the hooks are remaining. By diving the color in this part the hooks doesn’t stands out that much. I maintain the rear corner bumper and the rubber under the gate. I saw a white rubber at a home center that looks like the rubber that is used under the gate, so I remake it to be attached and I repainted the rear corner bumper. I also had the back panels covered. The dash board is a late B110 model and GX grade. The meter is bar meter. The seat belts are changed into white. What makes the color white interior doesn’t look so showy is that each material’s characteristics are well balanced in harmony. The slightly seen steering wheel is a 32 cm billet steering wheel prototype perfect for Japanese domestic classic cars. To maintain the basic structure of the car I prefer to put the battery on the same place instead of hiding it. The exhaust goes through the tube from the header and goes out from here then smash the smoke to the ground.I love its sound! It is very difficult to harmonize each parts characteristics but I believe that these parts really suits this car. The first model B20 appeared in 1967, and the second one the B120 appeared in 1971. 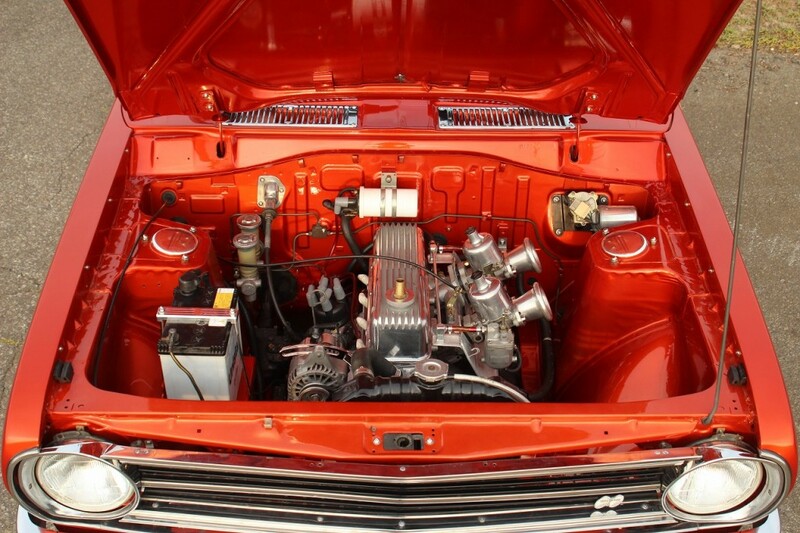 The same car faces of the sedan, coupe, and truck had a model changed in 1973. 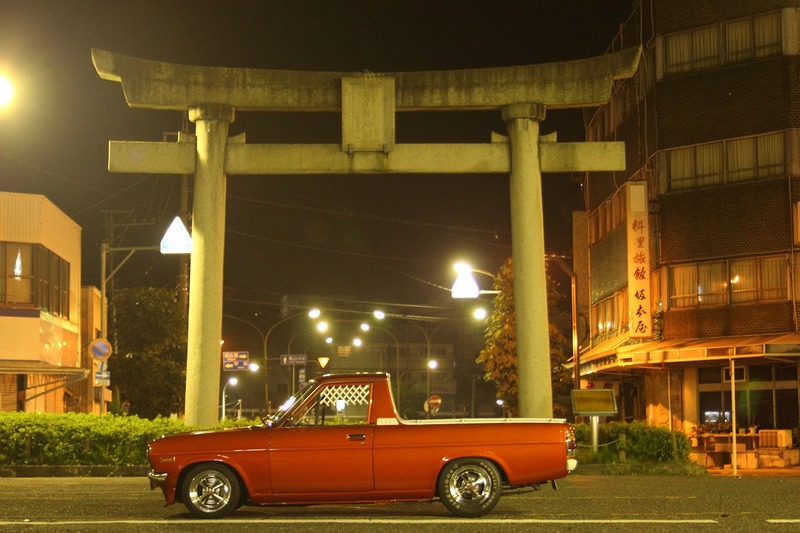 Only the truck kept its basic structure for 23 years and sold in Japan. 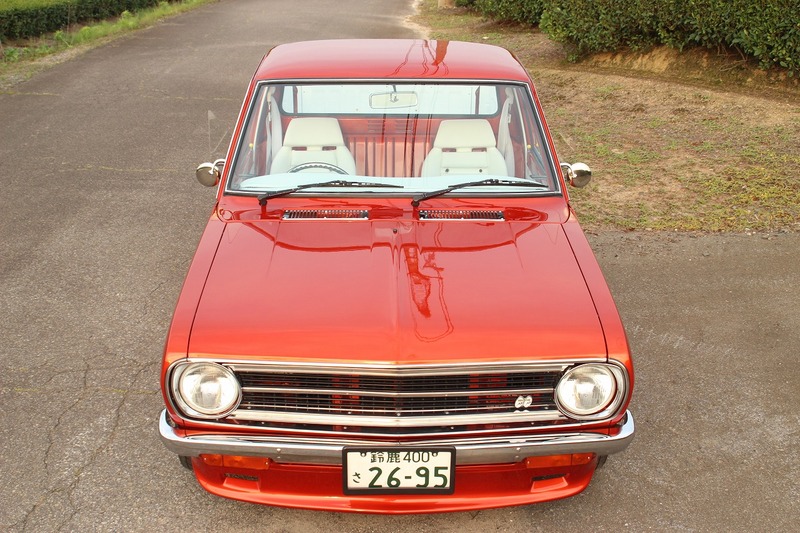 There are no other Japanese car like this, that kept its basic structure for this long. 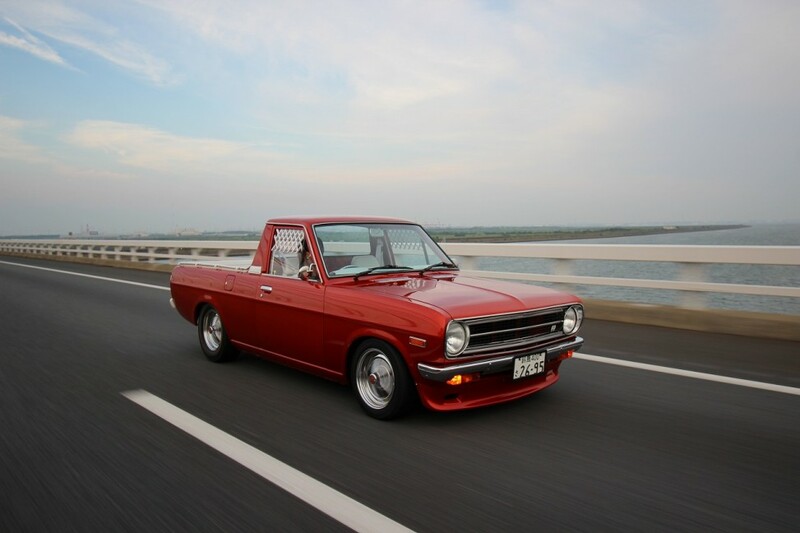 For me Sunny truck is like Classic mini or Air-cooled beetle of Japan. Since it is manufactured till 1994 it is not hard to find genuine parts, also because of TS class you can enjoy tuning. Since it is a truck most of it are damaged, and people stop using it after marriage. 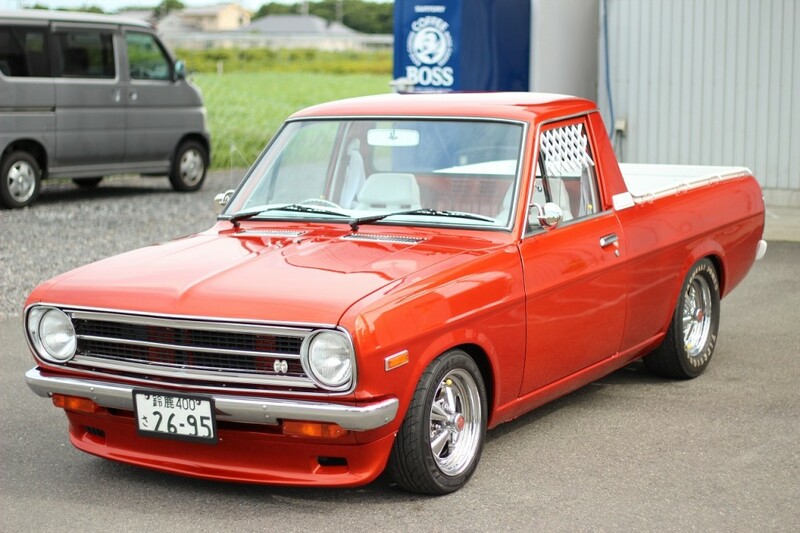 Many say it is not a classic car because it was made till 1994, and that it is not a mini truck because it is a monocoque. 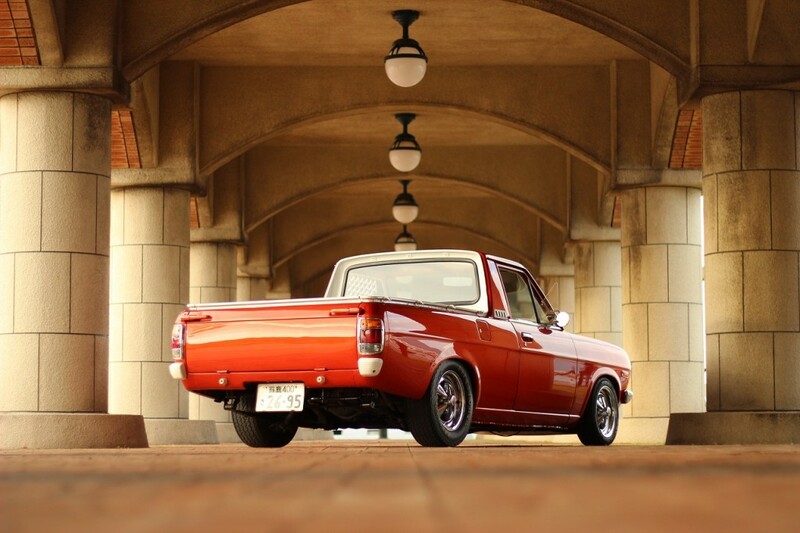 Despite the number of the truck that is made there are only few people who brought it to their ideal custom. I stick on the idea of keeping the basic structure, and to show that you can customize it like this without changing the structure. I am hoping that will be a good example. When I thought of a cool Sunny that won’t be the same with others this image of Sunny truck came up with me. This is the fruit of all the car shows I’ve been, all the people I met, and all the cars I saw. It looks like a U.S. customize car but I don’t think that U.S. is the best. If I think that it is the best I won’t be driving a Sunny in the first place. But I love american culture. For those who will start now, I hope I can motivate you like I was motivated by others.